Process: Home washed, with a single wet fermentation and sundried in african beds. ​Coffee is Tanzania largest export crop, accounting for about 5% of total export value, and generating earnings averaging USD 100 million per annum, over the last 30 years. The Tanzanian coffee market is made up of over 95% small holder’s supporting the livelihoods of an estimated of 3,5 million individuals. Tanzanian coffee production averages between 30-40,000 metric tons each year, of which approximately 70% is Arabica and 30% is Robusta. Unlike Kenya (with two harvests), in Tanzania, there is only one very long harvest a year. It extends from July and can last until December, in the highest areas. Soils are volcanic and very rich in essential nutrients, perfect for the cultivation of high quality Arabicas. 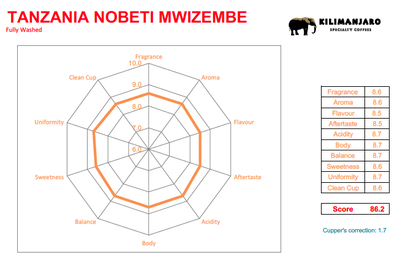 With the help of Tembo Coffee, we have been able to access some fantastic micro lots from the Mbeya Rural District and Mbozi District. This area produces over half of Tanzania’s Arabica coffee, but has previously struggled to attract investment. 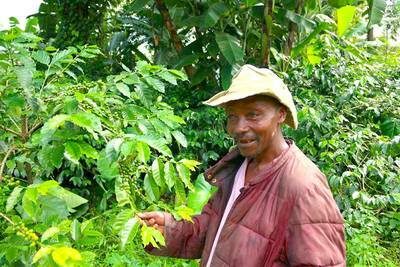 Farmers grow staple crops such as maize and bananas alongside coffee. On average, it is estimated that farmers produce 1.5 kg of cherry per tree, with each farmer owning in average 2 hectares with approximately 1250 trees per hectare. The work of Tembo is key in reaching these small holders and helping them work together to improve their yields and quality of the coffee they produce to increase their income. 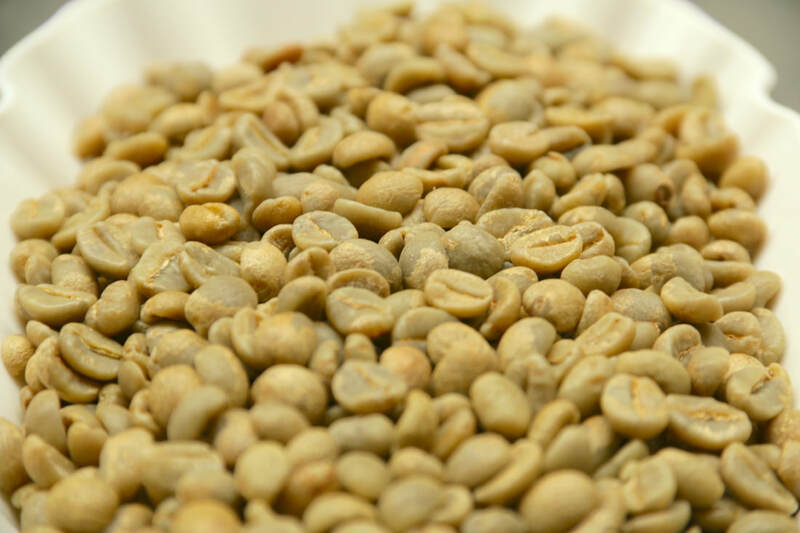 Tembo which was founded in 2013 invested in a green coffee grading facility to improve and classify the coffee before it is exported, they employ 15 people at this facility and out in the field. Tembo is also continually reviewing their practises and have started initiating a two years farmer training program involving best agricultural practises as well as business training (agro business, supply chain, coffee market knowledge, accounting) focusing on individual farmers to increase the impact and yield for smallholders. During the harvest coffee is hand-picked and then pulped using a hand eco-pulper which can allow 300kgs of cherry to be passed through a day. After pulping the beans are then passed through washing channels to identify any floaters. They are then left to ferment for 48-72 hours in clean water allowing the build-up of acids like lactic and acetic which drop the pH of the water and breakdown the mucilage structure surrounding the parchment. 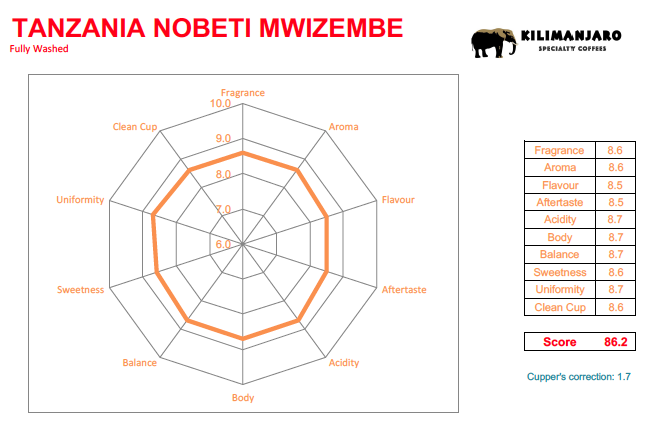 This gives rise to the clean and bright cups we associate with East African Coffees. Once fermentation has finished the beans are then washed and go through a second selection to identity again floaters. After this, they are then transferred to raised African drying beds where they are turned regularly to ensure even drying, taking between 6-15 days depending on the climate. Once the adequate moisture level is reached the beans are then transferred to Tembo’s facility where the coffee is once again screened with gravity tables and passed through a colour spectrum to sort any defects before export. ​Coffee was introduced in Tanzania from Ethiopia in the sixteenth century. The coffee was not drunk, but was used as a stimulant by the Haya people. Without written records, it is said that the tribe of the Haya, which inhabited the northwest of Tanzania, in the current Kagera region, was the only tribe that used coffee; they boiled the beans (which were probably Robusta) and steamed them with herbs, then chewed the mixture as a stimulant. The tribe also used coffee beans as a form of currency, and coffee cultivation was largely controlled by tribal leaders. Coffee became a cash crop in 1898, in the area of ​​Kilema, planted by Catholic missionaries, and later by German settlers. The natives of Kilimanjaro were not allowed to plant coffee, but were forced to work on the plantations of the settlers. It was until the end of World War I in 1918, when Germany lost its colonies, like Tanzania (then Tanganyika), that the natives were allowed to grow coffee. The natives obtained seeds from the churches where coffee was grown, but they had no knowledge of the crop. The World War had created a great demand for coffee in Europe, so that most of the buyers were white settlers who exported it. The natives used buckets, bags and other means to bring coffee to the settlers. The social and economic disturbances provoked by white settlers and Asian entrepreneurs during this post-war period forced small-scale farmers to establish cooperatives for their social and economic protection. Kilimanjaro Native Cooperative Union (KNCU) is the oldest cooperative in Africa, founded in 1933 by Charles Dundas. Currently KNCU has 61,650 affiliated members, who produce and market their coffee through the Union. Today, the best lots are being produced in the area of Kilimanjaro, Arusha and Karatu in the north, and Mbeya in the south. Although, there are important challenges that must be overcome: one of the most urgent is the low productivity of the coffee plantations in the northern areas. A coffee tree is considered not economically profitable when it reaches 20-25 years of age. 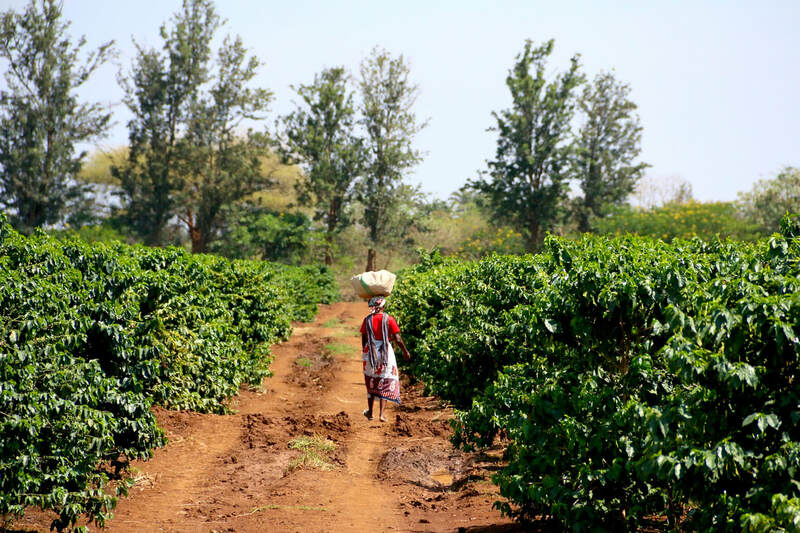 In Tanzania, there are over 240 million coffee trees, and the vast majority are over 40 years old. If we add to this, that most coffee growers are improperly combining coffee with other “more profitable crops” such as bananas, overshadowing coffee trees and destroying the soil with an excessive use of pesticides. And lastly, the lack of infrastructure, especially in the south, make the costs of marketing and sale of coffee extremely high, and in some cases farmers get as little as 50% of the FOB price. In the 1930s, the varieties derived from Bourbon: "N39 and KP423", were developed, selected and introduced in North and South Tanzania, as part of an intensive program in the research station of Lyamungu (today dependent on the Tanzania Coffee Research Institute (TACRI)), focused on improving quality and production. Currently, according to the TACRI, the cup quality produced by both varietals is excellent, especially in the "N39" variety. But its production is limited to a large extent by the ability of producers to control berry disease (CBD) and coffee leaf rust (CLR). And according to various researches, the most economical way to combat these diseases is by using varieties of Arabica that are resistant.